Developer Guilherme Rambo thought that it could be a mistake when he had seen Apple’s release of firmware for the forthcoming HomePod speaker, which will not show up till December. Getting more curious over the issue, he had begun probing through the code where he had discovered and probably the last thing which he least expected was the next iPhone of Apple. Rambo discovered in the HomePod not hints or rumours which had earlier been disclosed but Apple’s documentation of one of its largest releases in years. It endorses a fresh look with a slimmer bezel, an end of the home button together with a powerful new face-recognition feature. It seems to be the major bombshell of Apple leak in years, coming from Apple itself. The HomePod firmware had first been seen on an official public update feed of Apple recently and Rambo had unpacked it with the intention of gathering anything of interest on how Apple’s Siri powered speaker would function before Apple had comprehended its error and had drawn the code. Similar to the iPhone, the HomePod tends to run iOS which is discreet. Developers had access to a beta version of iOS 11 for over a month now. However, for a developer like Rambo of a Brazilian e-commerce company, he could quickly make a critical discovery. The HomePod firmware which had been released by Apple was iOS 11.0.2, was a full two patches ahead of what is publicly made available. Supporting the discovery of Rambo, iOS developer Steven Troughton-Smith commented that `it was a process Apple goes through every year, to make sure developers can still access the upcoming iOS without disclosing too much about the unexpected iPhone which would be coming up at the final release’. Comprehending the prospective for discovery he had begun to work stating that he had decided to search for strings within the firmware which could be linked to the rumoured `Face ID’ feature. He further added that he had searched for the word `face’ and observed that it matched many symbols in BiometricKit, which is the framework that presently handles Touch ID. These references do not prevail in the iOS 11 beta. Rambo kept on persisting with his probe into the issue. An iPhone 8 does not make references to face recognition. Yet as Rambo went ahead in the investigation through BiometricKit, he came across similar expressions utilised in listing a fresh Touch ID finger `EnrollTouchID’ had a face-authentication counterpart - `EnrollPearlID’. `Pearl ID’ continued to appear all through his explorations, always linked to facial recognition. This may not stop to what Apple considers its face recognition feature but calling it Pearl ID at this stage probably had no intention of hiding its purpose. Troughton-Smith had stated that `the codename just makes it easier to find all the related pieces of code in the OS and by inspecting the code you can then see what type of function it has. When Rambo had seen it, it was an unreleased, unexpected Apple feature laid bare. Speculating what `Pearl ID’ meant, led him to a larger discovery. Rambo adds that during the exploration for references to `Pearl ID’ he located a reference to Pearl D-22 and decided to search for D22 and found that it is the internal codename for the `iPhone Pro’ or `iPhone 10’. Apple had left little doubts to what it could mean though there were not many D22 references. Rambo had located a file in the PassKit framework utilised by Wallet known as `Payment_glyph_phone-D22.caar’ which is a format type that Apple tends to utilise in storing vector graphics for animated UI elements. When Rambo had extracted that image he viewed an iPhone different from any he had seen earlier since it did not exist till then. He also discovered another reference to D22 in a video file which was not present in the firmware, known as `Enrollment_Tutorial_Loop-D22’ that probably displays iPhone 8 owners on how to register their face with Pearl ID. Rambo had informed that there are some references in the firmware which recommend this D22 model would have a diverse battery charging system, though iOS 11.0.2 provides no hints to what those variances could be. The disclosures detail the unreleased iPhone of Apple to the earlier unthinkable degree excepting the early debut of iPhone 4 by Gizmodo in 2010. 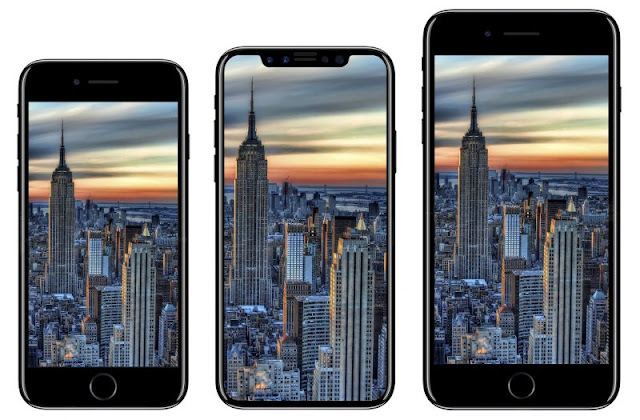 The slightly bezeled design together with the lack of a home button seems to mark the most significant overhaul of iPhone in years. The face-ID feature tends to be primed by the company, in being a focal point of the ultimate introduction of the phone. Troughton-Smith had stated that this could be a rough situation for Apple and for them to be the source of the only concrete leaks regarding it and its design would be to upset a lot of people internally. Beside embarrassment, the influence on actual sales could be subdued. The founder of Jackdaw Research, Jan Dawson, commented that he thinks that the kind of people probably to wait for a new iPhone based on leaks were possibly aware of all the reporting on the subject in advance. He also observed that while this seems to confirm the prevailing rumours, the real test of the upcoming features of the iPhone is how well they function and firmware can only tell you so much. In this case, the main takeaway seems that the internal security of Apple has once more slipped as it occurred when macOS Sierra had shown off MacBook Pro with OLED touch panel of Apple, last fall, just a few days before the official unveiling of the product. Apple had more time on the iPhone 8 than it had on its whole line of laptop put together and while airing it out a month before its announcement could have a material effect on the company and it certainly was not helpful. Tim Cook CEO of Apple had stated at the most recent earnings call of the company that they were seeing what they believe to be a pause in purchases of iPhone which they are of the belief is owing to the earlier and more frequent reports regarding the future iPhones.